This is me, Karin Navas and my 6 month old Karson. 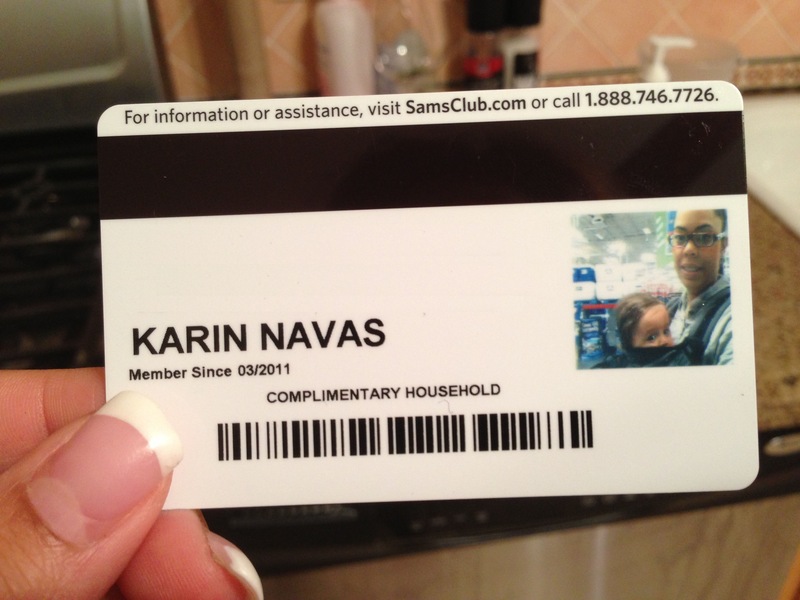 This is a picture of my Sam’s Club Membership Card that has me and my son as I am wearing him. I always wear Karson when I’m running around. Karson is snugly nestled in the Infantino Support Ergonomic Carrier which he and I really like. I was running my regular weekend errands, however, this particular day, I had to get a new membership card from Sam’s Club. The girl behind the counter asked me to look at the camera. Karson, being the happy friendly baby he is, also looked at the camera. I guess we are now both allowed to shop there. I am a busy working mother so weekends are very important for me because it’s when I have the most time to spend with Karson. As much as I would love to sit around the house all day bonding with him, I have a lot to do. Babywearing is so awesome because it allows me to do what I HAVE to do while I am doing what I WANT to do, which is spend time with my son. We both love it! I really love this blog and was excited to share a picture of me “Babywearing” I was waiting to snap some magical picture of me doing something really cool while I was wearing my son like us posing on top of the Empire State Building or me shaking hands with President Obama while I was wearing Karson. The truth is that I babywear in the most ordinary times of my life. Having Karson snuggled on my chest while I’m folding laundry, doing dishes, taking out the trash, or food shopping makes those mundane everyday moments something extraordinary. I can’t think of anything cooler than that.